When summertime rolls around, here are some ways to chill out without breaking into a sweat, giving you quality time to spend with your family. These kid-friendly dishes are fun to make and will help children of all ages learn new cooking techniques. When possible, use the fresh summer produce that is popping up at farmers’ markets and roadside stands. I’ve also included some simple recipes to get your kids involved in hands-on constructive activities. Sweet nectarines and fresh tarragon bring the beauty of the summer season to this simple chicken dish. The wine-based broth infuses the chicken with a slightly sweet, subtle flavor while keeping it moist and tender. 1. Preheat oven to 375°F. Coat a 9×13-inch baking dish with non-stick spray. 2. Trim and discard excess fat from chicken pieces. Arrange chicken in a single layer, skin-side up, in prepared baking dish. Add nectarines and shallots, tucking them between chicken pieces. Sprinkle chicken, nectarines and shallots with salt, pepper and brown sugar. 3. In a medium bowl combine wine, orange juice and honey. Mix well. 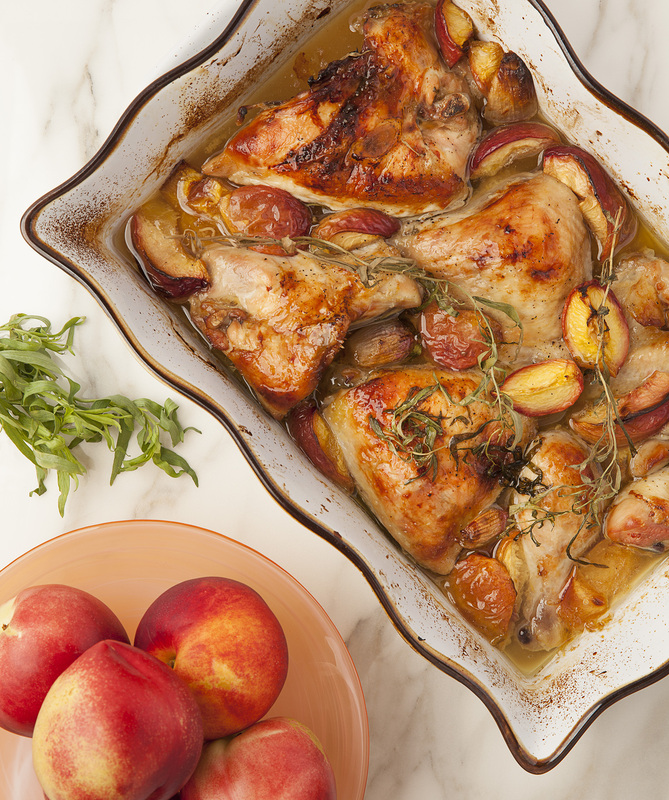 Drizzle evenly over chicken, nectarines and shallots, coating all sides. Top with tarragon sprigs. If you have time, marinate 30 minutes or overnight in the refrigerator. 4. Roast uncovered, basting occasionally, for 1 hour and 15 minutes, or until cooked through—skin is golden and juices run clear. Use plums, peaches or apricots. Dried fruit (e.g., 1 1/2 cup dried apricots, prunes or nectarines) also works here. A simple and fun way to use ground chicken! Even your kids will enjoy these preservative-free burgers. Prepare these at your next BBQ. Multiplies easily. 1. 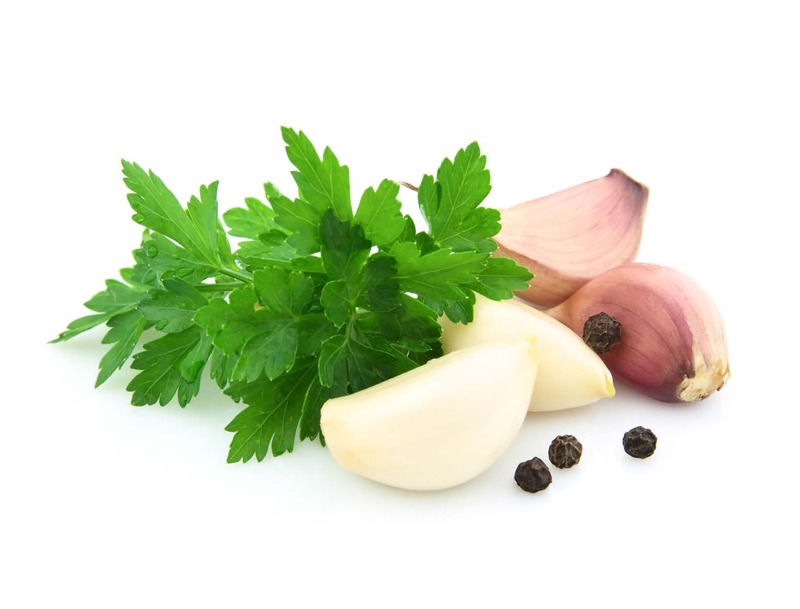 In a large bowl, combine ground chicken with garlic, parsley, onion, chili powder, salt, pepper and soy sauce. Stir lightly to combine. 2. Shape chicken mixture into 4 burgers, wetting your hands for easier handling. Brush burgers lightly with oil on both sides. 3. Preheat grill to medium-high. Grill burgers 6–8 minutes per side, until cooked through. 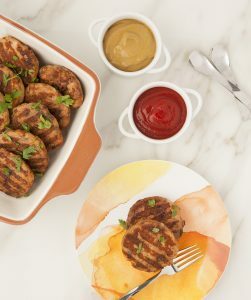 Sliders: Form chicken mixture into 8–10 mini burgers. Prepare and grill about 5 minutes per side. Serve on toasted mini rolls or buns with your favorite condiments (ketchup, mustard, relish, aioli, lettuce, tomatoes, onions or pickles). Thai Style Burgers: Replace chili powder with 1 teaspoon minced red chili pepper; replace parsley with cilantro. Add 1 teaspoon minced fresh ginger. Ground turkey can replace chicken. Watching your carbs? Wrap your burger in lettuce instead of bread. What do you do to please the neighborhood boys? You combine two of their favorite foods: hot dogs and garlic knots. 1. In a large bowl, combine flour, salt, sugar, yeast, oil and water. Knead until smooth. Add 1 tablespoon of water if necessary. You can use your hands or knead the dough with an electric mixer. 2. Grease a bowl with non-stick cooking spray. Place dough in bowl, cover with plastic wrap or a clean towel, and let rise for 35–40 minutes. You can keep it in the mixer bowl or place it in a separate bowl. 3. Preheat oven to 425°F. Line a baking sheet with parchment paper. 4. Divide dough into 4 parts. Cut each part into 9 pieces. Stretch each piece into a rectangle and wrap it around a piece of hot dog. Make a knot at the top, and tuck the two ends underneath. You can also simply wrap the dough around the hot dog. Place wrapped hot dogs on prepared baking sheet. Bake for 18–22 minutes until golden brown. 5. Meanwhile, in a large bowl, combine olive oil, garlic, parsley and salt. Toss hot dogs in garlic mixture as soon as they come out of the oven. Time Saver: To save a step, you can use store-bought challah dough. 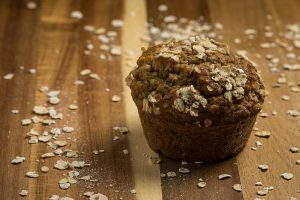 Leah and Victoria tested lots of low-fat, whole-wheat muffins to find the ones that kids and teens would really want to eat. These are the winner! 1. Preheat oven to 350°F. Line a 12-cup muffin pan with cupcake liners. 2. 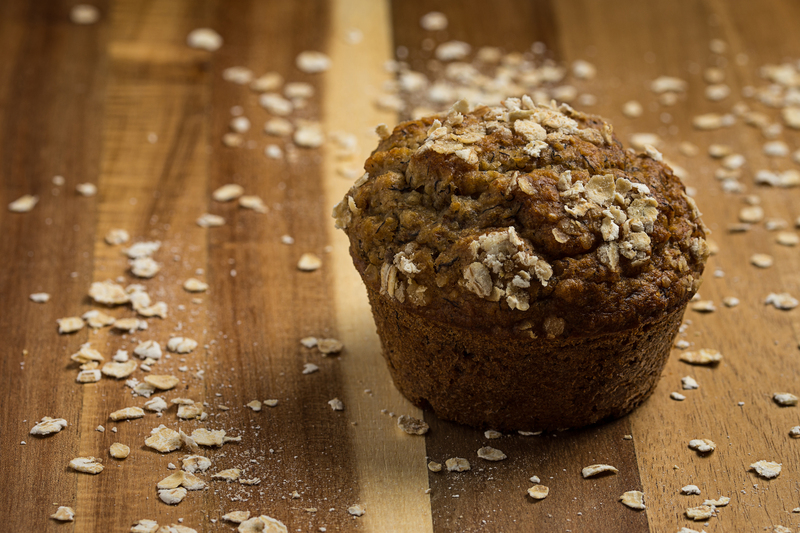 In a large bowl, combine flour, oats, brown sugar, baking soda and baking powder. Using a fork, mix well. 3. Add in egg, oil, orange juice and vanilla. Using a large spoon, mix until all the ingredients are combined. Stir in chocolate chips. 4. Drop spoonfuls of batter into each muffin cup, filling it almost to the top. A fruity dessert is always a hit at bigger gatherings as well as at family dinners. This peach crisp is a lighter alternative to cakes and creamy desserts. Cinnamon, ginger and brown sugar add warmth and spice to the fruit filling and the topping. 1. Preheat oven to 375°F. Coat a 10-inch deep pie plate or 8 individual ramekins with non-stick cooking spray and place onto a parchment-lined, rimmed baking sheet. 2. 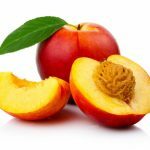 In a medium bowl, combine peaches with sugar, flour, lemon juice, cinnamon and ginger. Mix well. 3. 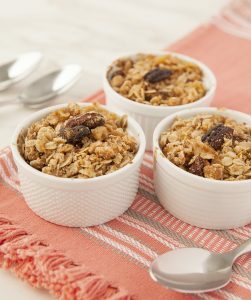 In a second bowl, combine topping ingredients; mix together to form crumbs. 4. Add filling mixture to prepared pie plate or divide evenly between ramekins. Sprinkle each with topping mixture. 5. Bake the crisp for 45–55 minutes, or ramekins for 35–40 minutes, until topping is golden and juices are bubbly. Serve warm or at room temperature. 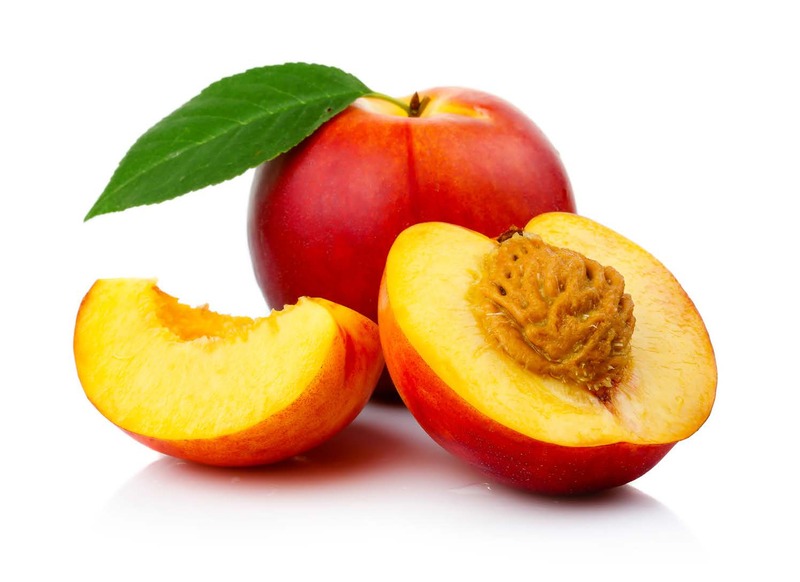 Variations: Instead of peaches use 6 nectarines or apricots and 2 cups fresh or frozen blueberries. Do-Ahead: Prepare topping ahead of time and refrigerate or freeze. When needed, prepare filling and sprinkle with topping mixture (no need to defrost it first). Bake as directed above. Norene Gilletz is the leading author of kosher cookbooks in Canada. The author of twelve cookbooks, Norene is a food writer, food manufacturer, consultant, spokesperson, cooking instructor, lecturer, cookbook editor, and now a podcaster! Norene lives in Toronto, Canada and her motto is “Food that’s good for you should taste good!” For more information, visit her web site at www.gourmania.com.